The Blue Cross Broad Street Run is coming to Philadelphia on Sunday, and commuters should expect some changes to their normal schedule. There's good news for runners – SEPTA announced Thursday that it would be giving registered participants free rides before and after the race. The transportation agency will also be deploying extra subway cars on its Broad Street Line to ease traffic from the event. There will be dozens of bus detours beginning at 7:30 a.m. on Sunday. Changes are expected for buses operating in North Philadelphia, Center City and South Philadelphia, including Routes 3, 4, 7, 9, 12, 15, 17, 21, 23, 27, 29, 31, 32, 37, 38, 39, 40, 42, 43, 44, 45, 48, 53, 54, 56, 60, 61, 64, 68, 75, 79, 124, 125, G, J, H, XH and R.
SEPTA announced that the Route 16 bus will begin its detour at 4 a.m. and that buses will replace Route 15 trolleys. 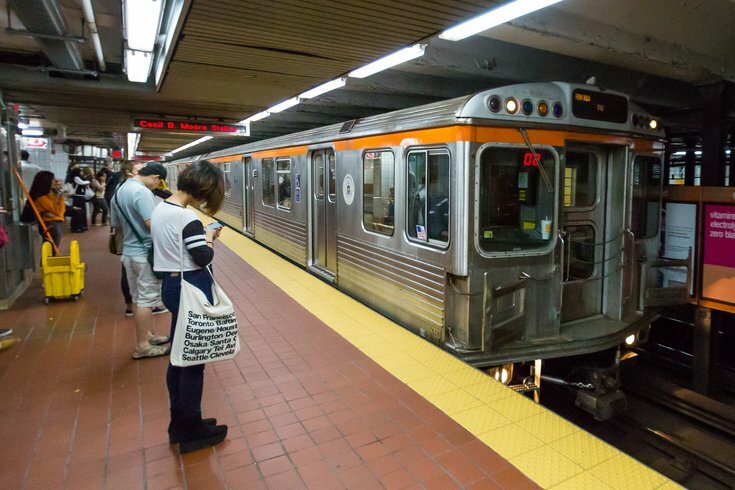 Extra cars along the Broad Street Line will depart Fern Rock Station starting at 4:15 a.m. and will leave every 10 minutes until 5:50 a.m., while "special northbound trips" from AT&T Station will run from 4:45 until 8:30 a.m. The trains will stop at the Walnut/Locust and City Hall stations en route to the Olney Transportation Center, which is close to the start of the race, according to SEPTA. The 38th annual Broad Street Run will begin at 8 a.m. Sunday at Broad Street and West Fisher Avenue in the Logan section of North Philadelphia. The 10-mile race ends at the Philadelphia Navy Yard. About 40,000 runners are expected for the event. The Philadelphia Parking Authority has also released details on its blog on where to park for the race. Changes to bus routes can be found here. Normal service will resume following the race.